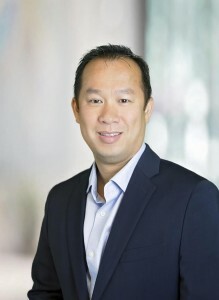 Young Tang is a partner in the Newport Beach office of One LLP where he specializes in intellectual property, particularly patent prosecution, due diligence, and IP monetization. Young has a broad range of experience in the field, from helping start-up companies build burgeoning IP portfolios, to counseling established companies on how to manage and monetize their large IP portfolios. He is adept at formulating nuanced freedom to operate positions and robust defenses to third party patents. Young has a wealth of experience in the procurement and reexamination of patents in the aerospace, semiconductor, medical device, and software industries. Young has gained particular skill in the use of deep data analytics through his development of custom software to identify hidden value in patent portfolios. Prior to joining One LLP, Young served as managing counsel at Broadcom Corp. and as lead IP counsel at DivX. LLC, where he was responsible for all aspects of IP including patent prosecution, pre-litigation defense. and licensing. Young served as a member of the patent prosecution group of McDermott Will & Emory. Before his career as an attorney, Young worked at 3M as a design and process engineer in the Fiber Optics and Dental divisions.